Meet Mike - Lawson Construction Inc.
Mike started his career in construction in his early 20s, when he moved to Colorado in 1971. He spent the next 10 years learning every aspect of the building industry. His work included large commercial and residential jobs. He built everything from Pole Barns to new condos, and eventually was in charge of building high end custom homes. In 1974 he started his own business, and built new condos for Housing and Urban Development in Steamboat Springs, Colorado. Mike moved to Santa Barbara in 1981, where he was the project manager for Wholehouse Construction for 6 years. They specialized, (and still do) in high end remodeling and custom homes. 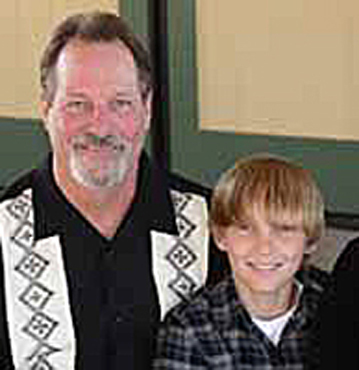 Mike moved to San Diego in 1989 when Mike and Rick formed Lawson Construction. For the past 30 years they have remodeled homes all over San Diego County. Because of their level of expertise, pride in their work and easy going personalities – they have a very strong referral base and consider many of their clients friends. They are nice, hardworking, honest guys, who truly care about doing quality work and making their clients happy.